Become a 4Gon Reseller. We offer great customer support, online & offline ordering, the best reseller pricing, plus much more. 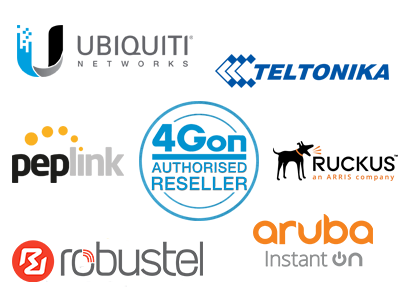 If you are a Wireless or comms reseller and are interested in selling 4Gon products as part of your business offering, you can apply to become an authorised reseller. Once accepted, you will have access to reseller pricing. To create your reseller account, it’s easy, just complete the online application form. We can white label drop-ship direct to you or your customer with next day delivery. 4Gon is an official distributor of Ubiquiti Networks. Ubiquiti provide a variety of high-performance networking technology for service providers and enterprises, offering an outstanding price to performance ratio. The Ubiquiti portfolio ranges from wireless access points, IP cameras, switches, PtP/PtMP links and much more. Ubiquiti have branded product types under unique identities, such as UniFi, EdgeMax, airFiber, airMAX and many more. 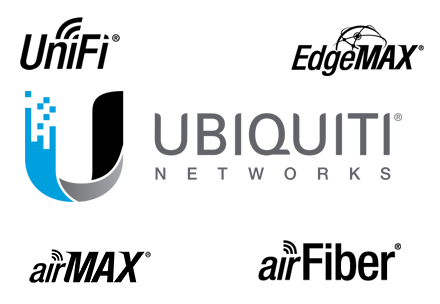 So if you want to start selling and installing Ubiquiti at the best prices than join our reseller program today. Why become a 4Gon reseller? 4Gon has distribution agreements with leading WiFi & IT manufacturers from around the world. 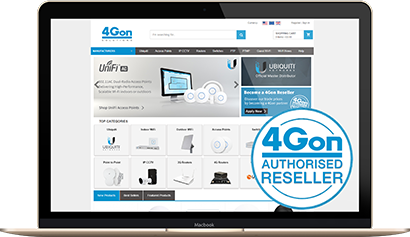 This allows you to maximise your business potential and expand your product portfolio by simply becoming a 4Gon reseller. 4Gon is a worldwide business to business distributor of the highest quality wireless communications hardware. You must be an IT reseller or solutions provider/consultant purchased products must be for resale. Reseller accounts are not available to end users. A reseller account is an ongoing relationship with 4Gon. Applicants should have a genuine intention to purchase and resell 4Gon products in the future. The initial minimum order value is £200.00. After completing the reseller registration form, applications are verified and if the criteria are met, you will receive confirmation by email. We do process applications as quickly as possible, usually within a couple of hours. Incomplete reseller applications will not be processed. We reserve the right to decline reseller status, at our discretion and without explanation. Not only do we offer the best possible pricing, 4Gon is a worldwide distributor. We are able to provide you with the highest quality products sourced throughout the world. If I already have an account do I need to have new logins? You can apply to be a reseller if you already have a 4Gon account, please ensure you select the box next to the text “Tick the box if you already have an account using this email address”, on the application form. Port Your 4Gon Account to VoIPon, the VoIP Distributor, Today! If you already have a 4Gon reseller account then you can instantly set up an account today with VoIPon, the VoIP distributor. You can activate your account by clicking on the below image or here. Then you just need to enter your email address registered with your 4Gon account. This will then be used to create a new VoIPon account with your existing details and privileges.